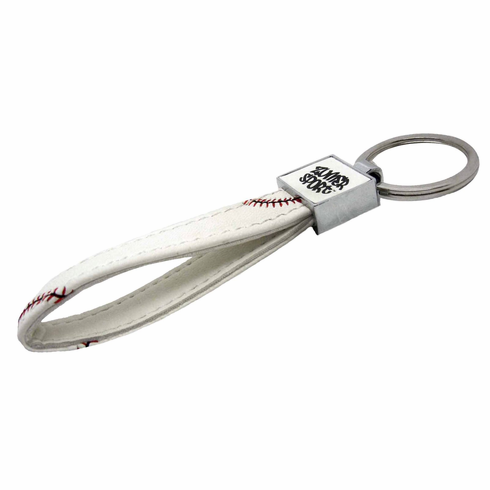 Don't put your keys on a plain ring - show your love for baseball with one of these baseball key chains. Made with authentic baseball material - a really high quality synthetic leather that is durable and soft...very realistic looking and feeling. Embroidered / sewn stitches on both sides. Zumer Sport logo on both sides. Keychain measures appx. 4 3/4" long.